I received complimentary sweaters in exchange for my honest opinion. When I was a kid, an ugly Christmas sweater was just that – ugly. You were embarrassed to wear it, you took it off as soon as you got home, and you prayed you didn’t see someone you knew while you were out wearing it. But Ugly Christmas sweaters are all the rage now, and every year I see them get more creative, and crazier and crazier! The awesome folks over at UglyChristmasSweater.com reached out, and wanted us to share their awesome sweaters – and give one lucky All in a Days Work reader a chance to WIN a sweater of their choice! First off, let me say, when you go looking for an ugly Christmas Sweater on their site, you will probably have a hard time like I did. Way too many to chose from! I would narrow down my choices, and then see a few more I thought were just too ‘ugly’ and I wanted those as well! Per usual, my girls convinced me to let them pick their own sweaters, and they are too adorable! 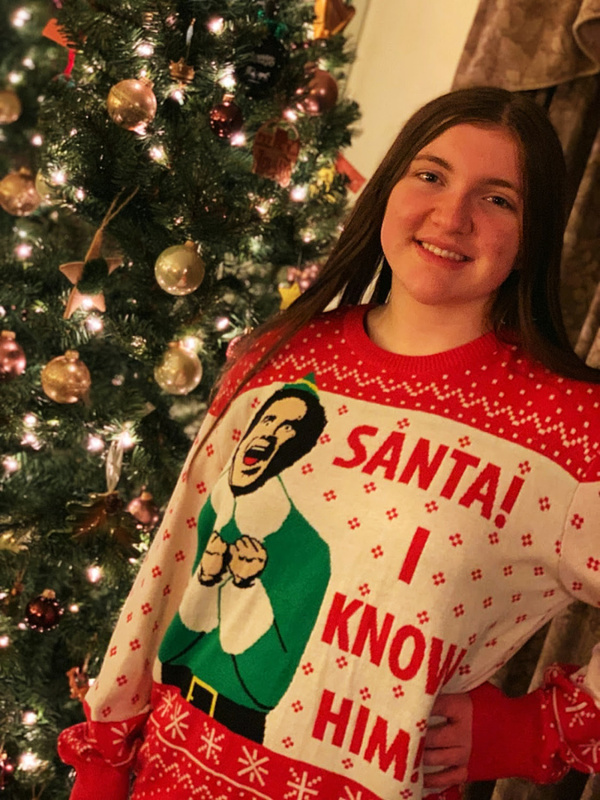 Now ELF is one of our favorite Christmas movies, so it was no surprise that my daughter picked this sweater. It’s more cute than ugly in my opinion, but either way, its one of my favorite of all the Ugly Christmas Sweaters on the site. ANNDDD its also super soft, which is a bonus. 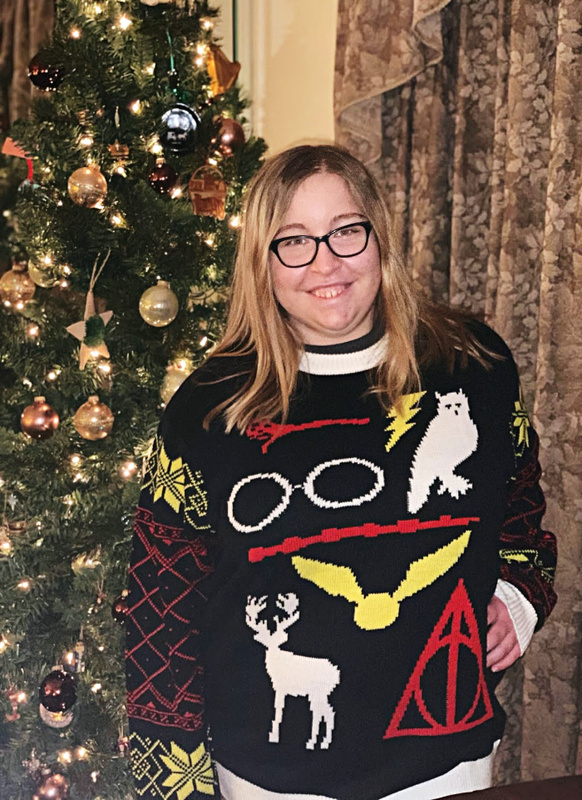 My Harry Potter obsessed daughter went with the HP sweater, which she completely loves! The great thing about this sweater is it can be worn all winter long! Some of my favorites included the Grinch sweaters, Home Alone (my absolute favorite Christmas movie) and of course Christmas Vacation! This entry was posted in Holidays, Sweeps. Bookmark the permalink. Love the sweaters ! Love the length of the Merry Christmas ya filthy animal one!